The Adelaide Central Markets has welcomed the arrival of popular Middle Eastern eatery, Real Falafel. From humble beginnings as a food truck service, the opening of their second store right in the CBD makes for a perfect pit stop for busy office workers and uni students. If the colourful store front isn’t enough to draw you in, the fragrant aroma of rich herbs and spices will surely do the trick. In addition to providing abundantly flavourful and wholesome dishes, their expansive vegetarian and vegan options ensure they cater to a diversity of needs. With a sole focus on takeaway business, Real Falafel is the ideal lunch stop for efficient, quality service. A combination of smooth, garlicy hummus and mildly spiced falafel, this signature dish is a match made in heaven. This moreish duo of typical Middle Eastern flavours makes for the perfect snack or light meal. Focusing on accentuating the humble falafel with the tanginess of pickles and pickled cabbage, this dish was simply delightful. The fresh tomato and cucumber salad was balanced by a velvety hummus and tahini, which introduced an intensity of flavour that complemented the dish perfectly. 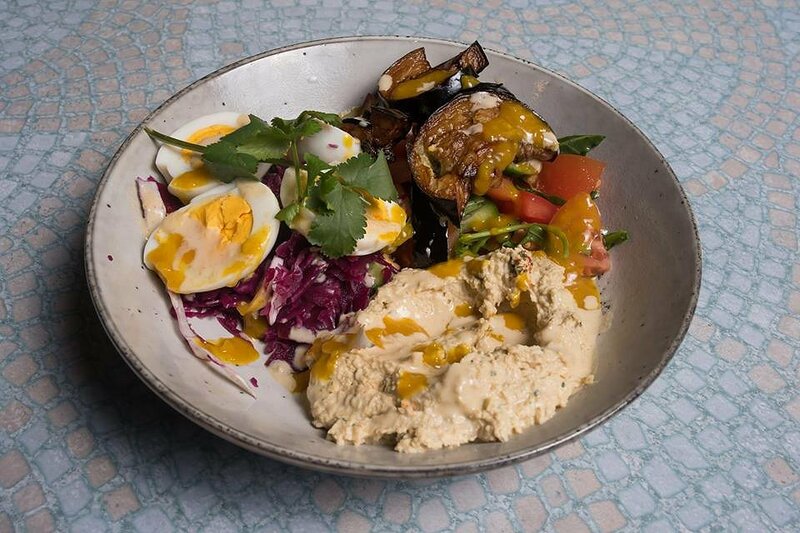 Switching out the falafel in the previous dish for a generous serving of tantalising caramelised eggplant, boiled eggs and zingy pickled mango, this dish is another winner! While the complementary ingredients mirrored that of the previous dish, these new elements worked to create an entirely different depth of flavour. The eggplant provided an intense smokiness while the pickled mango drizzle added an element of zing. 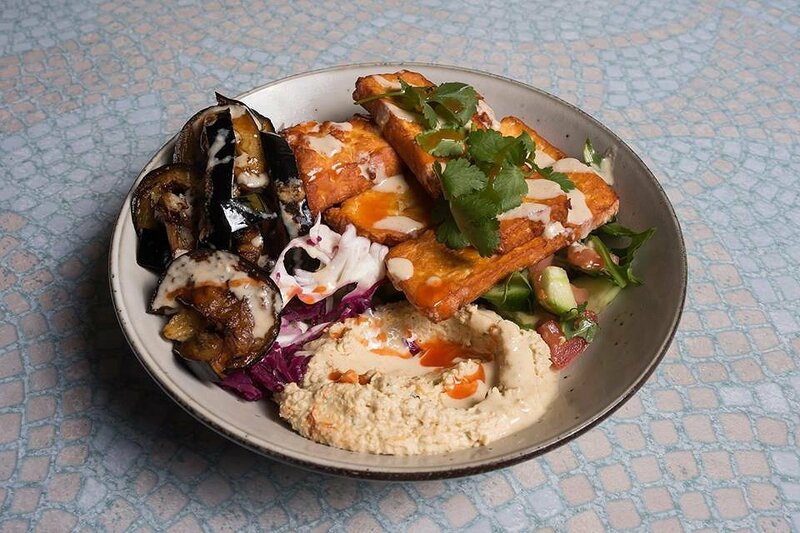 Again this dish incorporated the same harmonising components as the rest, but with another twist: the star ingredient being glorious, fried halloumi. While this was perhaps the mildest of all, it delivered the perfect recipe of richly spiced dips, lightly seasoned salad and salty cheese. 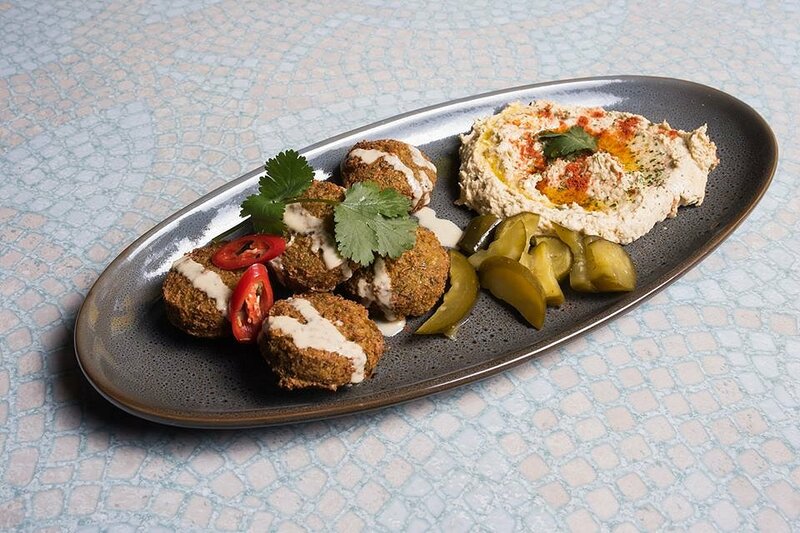 Each of the dishes, aside from the falafel balls, comes with a choice of being served in a pita or a bowl depending on your preference. 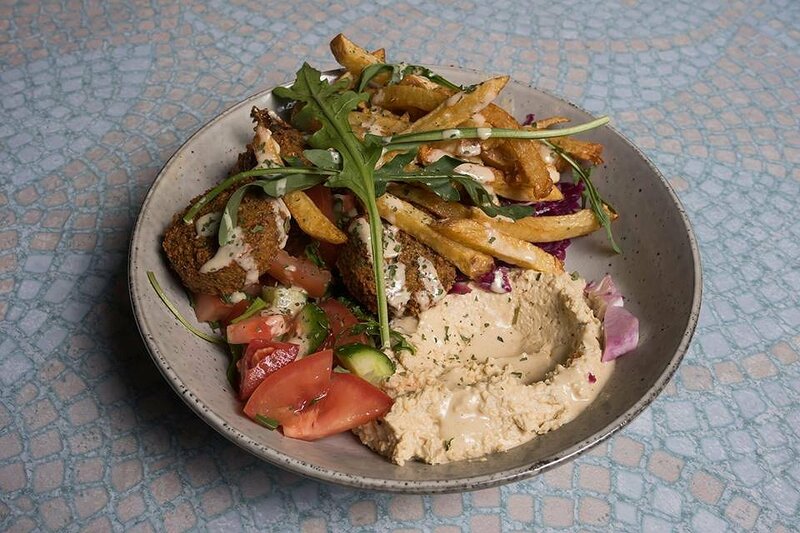 While Real Falafel’s menu uses the same basis for each dish, the differentiation in key ingredients provides an unexpected variety of flavour throughout. A rich, vividly textured palette of Middle Eastern flavours meets the efficiency and convenience of fast food; a truly satiating experience.